Designed by Onfire Design, Luxerose’s newest line of cocktails delivers in threes. Each cylindrical tube comes equipped with a distinct color, flavor and name like Summer Love, Night Out and Moon Child. “The cocktail and beverage category is a rapidly growing sector. To stand out a new brand needs to think a little differently and bring some innovation to a demanding consumer group that is always looking to discover new and unique flavours. 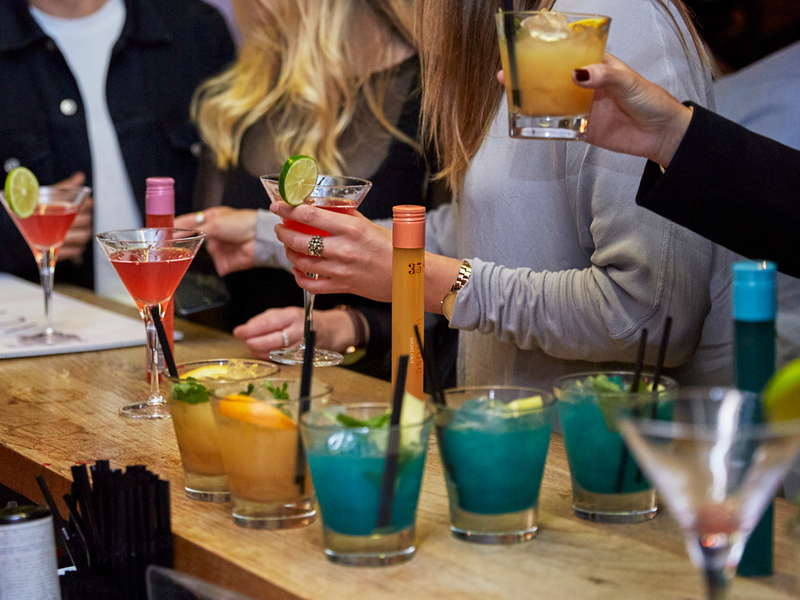 Luxerose is an RTD range of cocktails aimed at the young, millennial female audience in New Zealand and China. Designed for social occasions and gifting, New Zealand mixologists were commissioned to create 3 distinctive cocktail blends reflecting current flavours and taste trends in the New Zealand social scene. Packaging the cocktails was an essential part of the project. In conjunction with the client, we created a unique set of 3 glass vials which, when chilled, could easily be dispensed at home or in bars. These are contained within a presentation case lavishly decorated with a modern, colourful and abstract botanical illustration showing various flora and fauna from New Zealand. Future range extensions intend to utilise the same livery but with illustrations inspired by different countries and cities. Bright, colourful and fun, this new way of enjoying cocktails brings a new dynamic to any social event.” Also be sure to check Top 10 Most Expensive Bottles of Wine in the World.